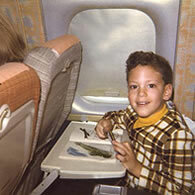 When I was a small boy, I wanted to become a flight attendant. That was my big dream and my big dream came true! 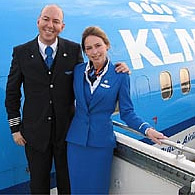 I started my career at KLM Royal Dutch Airlines when I was 21 and aside from a stint at Passenger Services for three years, I still hold that position, but now as a purser! KLM Royal Dutch Airlines was founded on October 7th 1919 to serve the Netherlands and its colonies. KLM is today the oldest airline still operating under its original name. KLM is the core of the KLM Group, which further includes the wholly-owned subsidiaries KLM Cityhopper, transavia.com and Martinair. 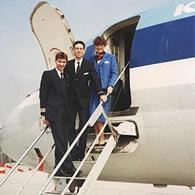 KLM works closely with Air France within the Air France-KLM Group, which came into existence through the 2004 merger. 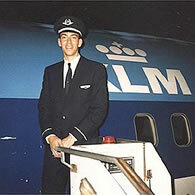 Although the two companies work very closely, KLM still flies around the world under its own, familiar name. Air France and KLM are members of the SkyTeam alliance. Air France and KLM carry more than 77 million passengers per year. They operate 573 aircraft enabling them to fly to 243 destinations in 103 countries.